All prices include VAT at the current prevailing rate at the time of securing the reservation for all UK mainland hotels. Prices are subject to change without notice. However, your price is guaranteed once you have received your booking confirmation. Prices for bookings include twin or double bedrooms (single bedded rooms for single guests, where available) with colour TV, hospitality tray, direct dial telephone and private en-suite bathroom. At many Legacy Hotels or Associate/Affiliate hotels, for a supplement, you can upgrade your accommodation to a feature room or a suite on a per room per night basis. These rooms may, for example, have an enhanced view, extra facilities or a four poster bed. Please ask for details at the time of booking. Individual guests using a single bedded room, where available, at the requested hotel are charged the standard rate quoted for the single room. 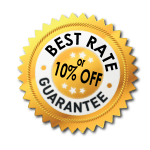 When no single rooms are available, or an individual guest requires a double bedded or a twin bedded room for single occupancy, the rate quoted and charged will be based on the double or twin room rate, as shown. At all Legacy hotels, up to 2 children under the age of 15 years may be accommodated when sharing a room with 1 or 2 adults. Availability of suitable rooms may incur and supplement and are limited. Portable beds could be used in some rooms to accommodate your children which may be chargeable, please check with central reservations or hotel direct. All children’s meals, including breakfast, should be paid for directly at the hotel or resort upon check-out. The children’s policy may vary across Associate/ Affiliate hotels. Naturally all our hotels welcome guide dogs. Many of our guests like to bring their pets to stay them so some of our hotels now accept all dogs with a small charge. Whilst we aim to accommodate all pet lovers, some of our hotels are unable to accept animals for reasons which are specific to the hotel. The charge for your pet will be made direct to the hotel. Please refer to the below table for details. All stays at Legacy Hotels, which include breakfast in the rate, offer either a continental breakfast with tea or coffee, or a Full English Breakfast. All breaks, which include dinner, offer a choice from the hotel’s menu of the day. Where a hotel does not offer a menu of the day, an allowance (the amount of which varies from hotel to hotel), is allocated towards dining from the house menu. There is no refund for meals not taken or unused allocation. Lunch cannot be taken instead of dinner. Inclusive meals may vary across the Associate/Affiliate hotels. Should you have any dietary requirements, concerns or wish to know more information about the menu(s), please contact the hotel of your choice. You warrant that you are 18 years of age or over and have a legal capacity to use the website and to create a legally binding contract. You warrant that all personal information submitted during the accommodation booking is correct and you accept financial responsibility for all transactions made under your name or account. All guests are personally responsible for their own possessions, belonging and property whilst staying at a Legacy Hotel or an Associate/Affiliate hotel. or Use the individual hotel’s Email address, or Call the hotel of your choice directly. Your booking will be treated as an offer by you to enter into a contract with the respective hotel on these terms and conditions. Any alternative terms and conditions provided by you will not apply. By making the booking, you also become responsible for making all payments due under the booking. If the payment card is not in your name, you must be authorised by the card holder to use the payment card. We reserve the right to reject your booking and no contract will exist between you and the hotel unless we confirm acceptance of your booking in writing or by accepting payment from you. An automated Email acknowledging receipt of your booking shall not be treated as acceptance of your booking. When you book a flexible rate you will be require to enter a valid debit or credit card number to guarantee your reservation. A £1 charge will be taken by the hotel when your reservation is received that will be immediately refunded. Failure of this process may result in the booking being cancelled. No further payment will be taken from your card and you will pay for your room on departure from the hotel. You can cancel your best available rate booking up to 12 noon on the day prior to your arrival without penalty. If you fail to arrive or you cancel your reservation after 12 noon the day prior to arrival you will be charged for your first night’s accommodation. Please be advised that bookings made on advanced purchase rates are non-refundable, non-cancellable and non-transferable. Full pre-payment of the booking will be taken from your debit or credit card and the time of booking. Advance purchase/Pre-paid rates cannot be purchased using a gift card. When booking more than 6 rooms, different policies and additional supplements will apply. Please contact our groups desk on 01564 797435 for details. Any bookings made for more than 6 rooms via our website will be held provisionally until the group terms are agreed and our contract signed. We reserve the right to cancel group bookings of 6 rooms or more made on the transient rates available through our website. 50% non-refundable deposit required at time of booking. Full pre-payment required 30 days prior to arrival. This rate is non-refundable and non-transferable. All promotional packages including seasonal promotions and Spa packages are pre-paid at the time of booking. The full prepayment will be taken from your debit or credit card. Any changes to, or cancellation of your booking, must be made via our Central Reservations call centre if your booking originated either via the call centre or via www.legacy-hotels.co.uk. Monday – Friday 0800 hours – 1800 hours. Saturday & Sunday and Bank Holidays 1000 hours – 1600 hours.  Should you need to contact the Central Reservations call centre out of the opening hours, a recorded answer telephone service is provided. Alternatively, the E-Mail address for our Central Reservation call centre is ‘cro@legacy-hotels.co.uk’. The individual hotels are not permitted to make any amendments to any reservations made via the Central Reservations call centre or to any reservations made via www.legacy-hotels.co.uk. In the event that your booking was made direct with the hotel, any amendment or cancellation should be made directly with the hotel. In any event, you must ensure that you are given an operator name or reference number for the amendment/cancellation. Amendments or cancellations cannot be made online nor will they be accepted by a simple receipt of an automated delivery Email. Legacy gift cards must be redeemed only at Legacy hotels and may only be used towards the purchase of eligible products listed and sold by Legacy Hotels. Legacy gift cards cannot be redeemed to pay for other gift cards. Please note Legacy gift cards cannot be used to purchase any pre-paid, non-refundable rates online. Legacy gift cards have no cash redemption value and are not transferable or assignable. Legacy Hotels may provide gift card purchasers with information about the redemption status of the gift cards they purchase. If the purchase made at a Legacy Hotel exceeds the amount on the gift card, the balance must be paid in cash or by credit or debit card. One or more gift cards can be redeemed against a purchase at a Legacy Hotel. Legacy Hotels is not responsible if a gift card is lost, stolen, destroyed or used without permission. Defaced, illegible, or photocopied gift cards will not be accepted. If the gift card is defective you must contact the Customer Services department as soon as possible for a free replacement. Our liability in such cases is limited to replace the defective gift card. Gift cards and unused portions of gift cards expire after one year from the date of issue, where permissible under law. Validity periods on promotional gift cards may vary. Please check offer’s specific terms and conditions for details. Fourteen calendar days from (and including) the day after the purchase date. Refunds will be processed within 14 working days once received.